After decades of research proved that critters across the animal kingdom on Earth can sense our planet’s magnetic field, a well-known geophysicist at the California Institute of Technology (Caltech), Joe Kirschvink, has presented the first repeatable and verifiable evidence that humans have an ability to detect and respond to Earth’s magnetic field too. Over the past decades, Prof. Kirschvink has originated several ideas aimed at increasing our understanding of how biological evolution has influenced, and has been influenced by, major events on the surface of the Earth. He won the Richard P. Feynman Prize for teaching excellence at Caltech, and the William Gilbert Award from the American Geophysical Union. As opposed to previous results in this field, Kirschvink’s results are the first that can be repeated and verified. He has so far presented the results of tests performed on 24 human participants, and his paper is in progress. Kirschvink is sure humans have functioning magnetoreceptors and has received US$900,000 in funding to continue his research. There are currently three teams performing the tests, one is in the US, and the other two in Japan and New Zealand. A mobile lab is expected to be built soon too. Kirschvink presented the results of his experiments at the 2016 meeting of the Royal Institute of Navigation in the UK. Details were provided to the public on June 23, 2016, in a Science Magazine article written by Eric Hand. Kirschvink’s team is testing humans for a subconscious magnetic sense by putting them in a Faraday Cage and applying magnetic fields. “Faraday Cage is the key,” Kirschvink says. 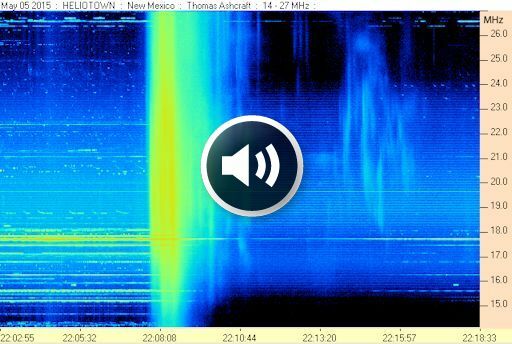 Its role is to screen out all electromagnetic noise. The experiments began at the end of 2014. Kirschvink was human subject No. 1. No. 19 is Keisuke Matsuda, a neuro-engineering graduate student from the University of Tokyo. Matsuda is replicating the experiment in Tokyo with a similar setup and same results. Kirschvink favors a theory which proposes that miniature compass needles sit within receptor cells, either near the trigeminal nerve behind animals’ noses or in the inner ear. The needles, presumed to be made up of a strongly magnetic iron mineral called magnetite, would somehow open or close neural pathways. 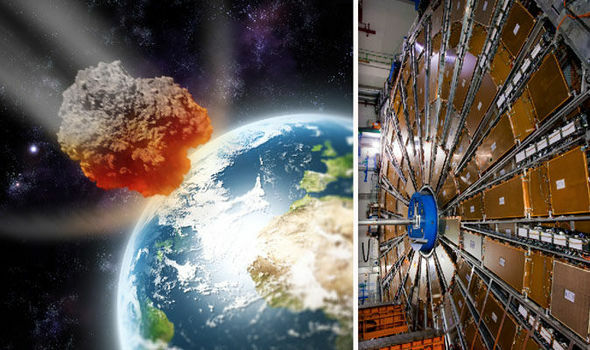 The CERN Large Hadron Collider (LHC) could be responsible for drawing an asteroid that could destroy the planet towards earth, according to a wild conspiracy theory. 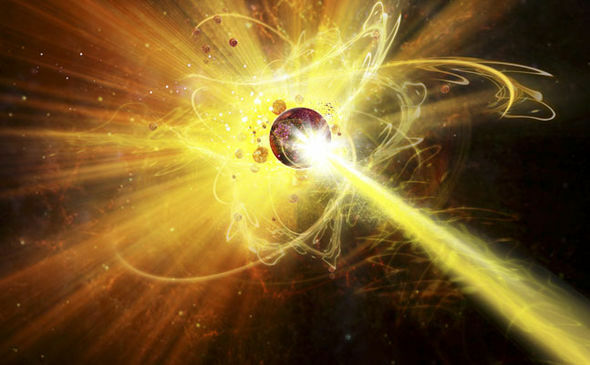 The LHC could generate a magnetic field that could somehow pull an iron-laden space rock off course towards Earth with catastrophic consequences, according to the crack pot theory which is doing the rounds online. Another theory dreamed up by conspiracists is the LHC could even open up a portal from another dimension through which an unexpected comet or asteroid could suddenly appear before hitting Earth out of the blue. Some have even bizarrely claimed the LHC could summon the Anti-Christ to earth to cause an apocalypse. Scientists have readily dismissed these suggestions as ridiculous, but the LHC has long caused fear among certain quarters following claims it could potentially create a black hole which swallows up the planet. The collider is within miles of tunnels, 75 metres under the French-Swiss border near Geneva, Switzerland, where scientists are smashing atoms to try to discover a parallel universe. It is accepted by scientists that the LHC could cause a small black hole, but there has been no suggestion it could actually devour the earth or affect the movement of asteroids in space. This has not deterred Nostradamus style predictors. One blogger suggested the LHC was a much more sinister machine, stating: “The CERN logo is 666 – the sign of the beast – in a circle. There has been so much speculation over CERN drawing an asteroid towards Earth, Yahoo.com cited it as one of its top 11 craziest conspiracy theories. The article said: “It seems that Christian conspiracy theorists haven’t forgiven the machine for finding the ‘God particle’ and now predict it’s going to bring about Doomsday. COMMENT — Pretty far out! 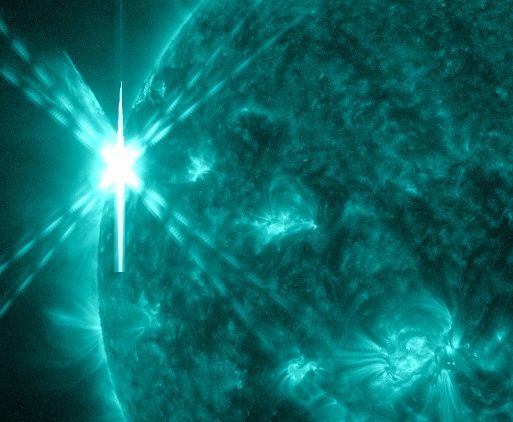 NOAA forecasters estimate a 50% chance of polar geomagnetic storms. 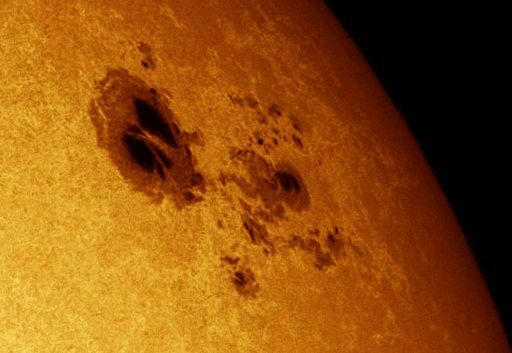 The cloud was hurled into space two days ago by an M9-class explosion in the magnetic canopy of sunspot AR2242. 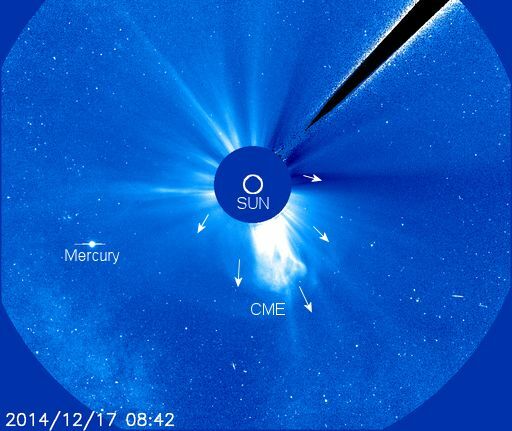 Although the bulk of the CME flew south of the sun-Earth line, a collision is still possible. 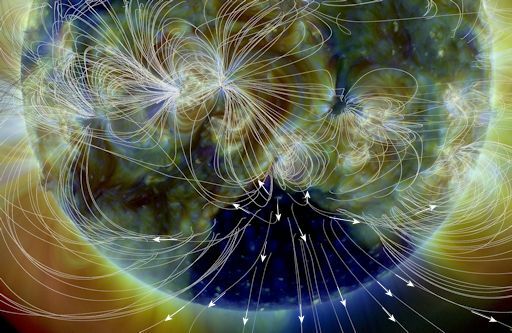 Computer models suggest a glancing impact on Dec. 19th with magnetic reverberations lasting until the 20th. High-latitude sky watchers should be alert for auroras. The way electronic devices receive their power has changed tremendously over the past few decades, from wired to non-wired. Users today enjoy all kinds of wireless electronic gadgets including cell phones, mobile displays, tablet PCs, and even batteries. The Internet has also shifted from wired to wireless. Now, researchers and engineers are trying to remove the last remaining wires altogether by developing wireless power transfer technology. However, in terms of extending the distance of wireless power, CMRS, for example, has revealed technical limitations to commercialization that are yet to be solved: a rather complicated coil structure (composed of four coils for input, transmission, reception, and load); bulky-size resonant coils; high frequency (in a range of 10 MHz) required to resonate the transmitter and receiver coils, which results in low transfer efficiency; and a high Q factor of 2,000 that makes the resonant coils very sensitive to surroundings such as temperature, humidity, and human proximityProfessor Rim proposed a meaningful solution to these problems through DCRS, an optimally designed coil structure that has two magnetic dipole coils, a primary one to induce a magnetic field and a secondary to receive electric power. 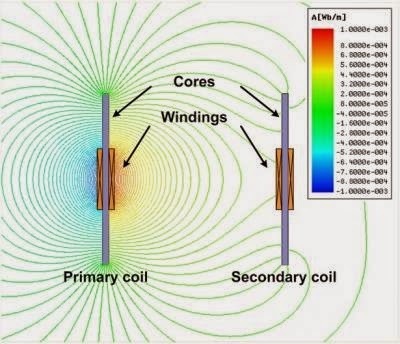 Unlike the large and thick loop-shaped air coils built in CMRS, the KAIST research team used compact ferrite core rods with windings at their centers. The high frequency AC current of the primary winding generates a magnetic field, and then the linkage magnetic flux induces the voltage at the secondary winding.